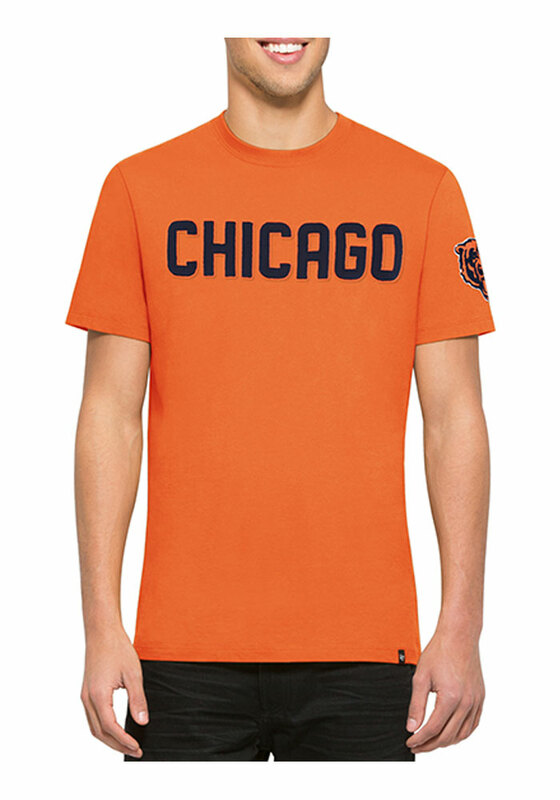 Support your Chicago Bears in this Orange Short Sleeve Fashion Tee! This Fieldhouse Fashion T Shirt features a fabric applique team wordmark across the chest and a fabric applique team logo on the left sleeve. Be ready to shout "Go Bears" when you wear this Chicago Bears Short Sleeve Fashion T Shirt in the stadium or on the street. Like other customers have mentioned, why is it so hard to get the white version of this shirt with blue letters? Make more! Why is it soooo difficult to get this T-shirt in WHITE with BLACK letters and the logo on the sleeve?????? I initially bought this shirt so that I could blend into the normal Michigan fans, because I was sick and tired of having nothing to wear if they win a game! However, it just enhanced that attention I was getting, because everyone told me how much they LOVED my new shirt. I was casually getting groceries on a lazy Wednesday afternoon while the kids were at school, and I ended up having to tape a sign on my back where I got my shirt from because SO many people kept coming up to ask me, and I just couldn't keep up!! SO, would I recommend it to a friend? Of course! Would I recommend it to my enemies? Of course! This is the absolute perfect shirt for ANYONE no matter WHAT, and I can 100% guarantee several compliments if you're out and about wearing this shirt.